Rosalía is using Smore newsletters to spread the word online. 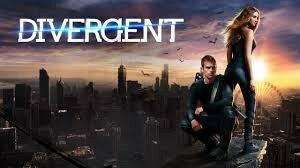 Based on the novel of the same name by Veronica Roth. Divergent is an science fiction film. The story takes place in a dystopian post-apocalyptic version of Chicago, where people are divided into distinct factions based on human virtues. 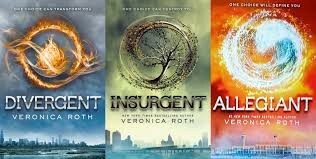 Beatrice Prior is warned that she is Divergent and thus will never fit into any one of the factions and soon learns that a sinister plot is brewing in her seemingly perfect society. 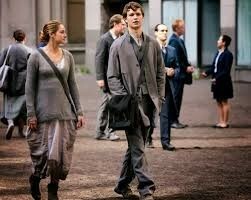 Beatrice was born into Abnegation, like his brother Caleb. But there was a problem, she is divergent. When they have to choose a faction, Beatrice chooses Dauntless and Caleb chooses Erudite. 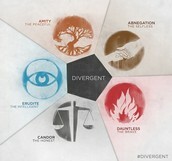 When she starts her new life in her new faction, she changes her name to Tris. She makes friends and fall in love with Four, an instructor. She is in danger because she is divergent. Tris and Caleb, her brother. Erudition wants to govern the city and for that the decided to extermine the faction that governs: Abnegation. 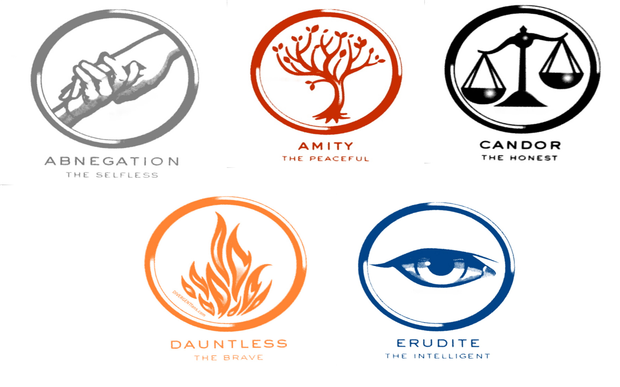 For that, Erudition force ,by a serum, people of Dauntless to kill people of Abnegation. In the battle, Tris' parents die. 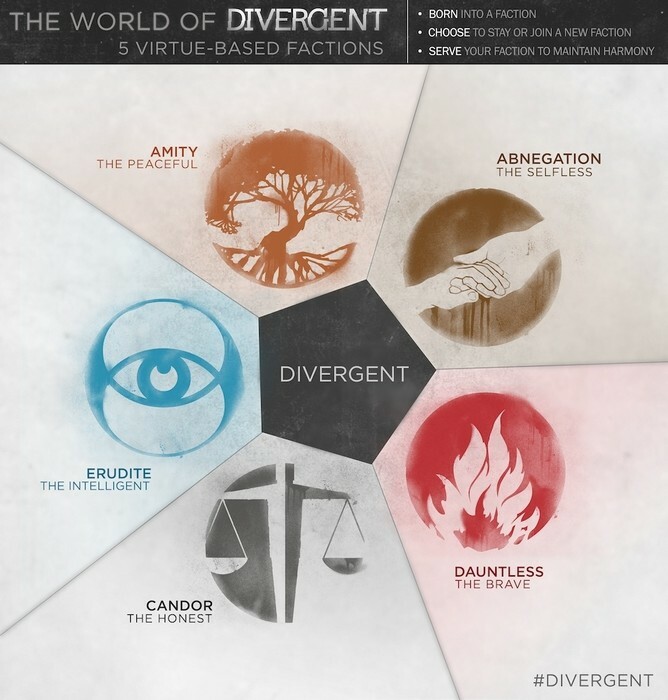 Tris and Four destroy the system of Erudition that controls the Dauntless and scape together with Caleb to Amity.